What is the Link Between Insulin and Glucose? Those with hypoglycemia have an abnormally low blood sugar as a result of hyperinsulinism. Insulin from a pump or an injection lowers the blood glucose of the diabetic. A person checking her blood glucose levels. When insulin is no longer being produced by the pancreas, blood glucose levels rise. 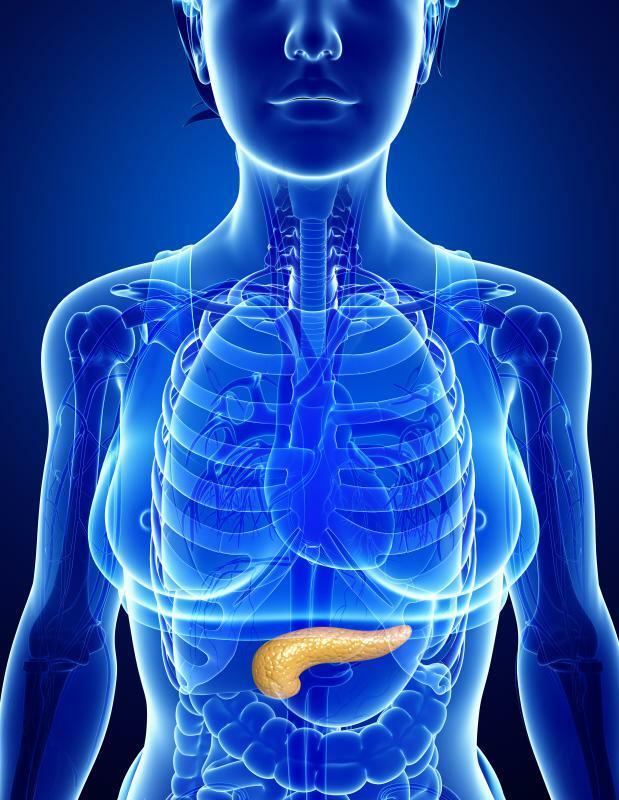 The pancreas gland aids in digestion and produces insulin. 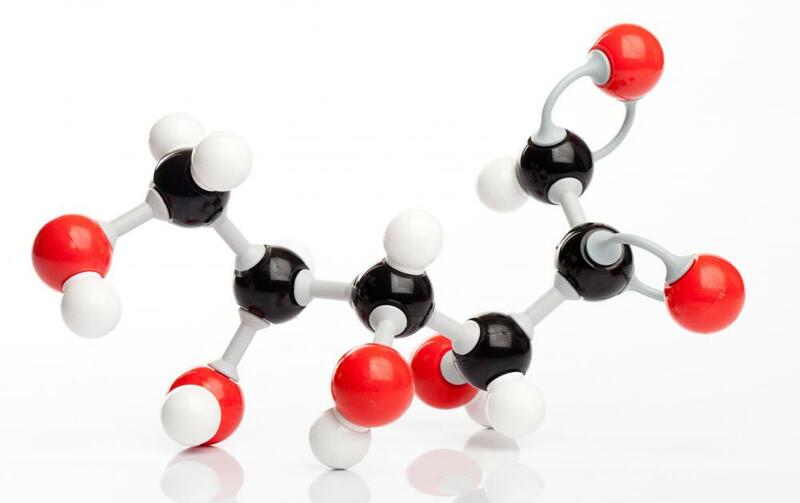 Glucose molecules are broken down to provide energy to cells. Glucose is a sugar that occurs in fruits and animal tissues and fluids. Insulin is a hormone produced by special cells in the pancreas. The link between insulin and glucose lies within insulin's task: to regulate the metabolism of glucose and other nutrients. Diabetic bodies have stopped producing insulin or ceased using it properly. Foods, including glucose, are broken down by the body into various compounds to perform bodily functions. Glucose gives a body energy, helps with self-repair and growth, and performs cellular tasks. Insulin goes to the blood and moves glucose to cells. Glucose levels in the body change when a person eats, moves or experiences stress. Different types of insulin have been researched and developed. Doctors choose from many available types depending on their patient's medical history, lifestyle, risks and other medications. Prescribed insulin imitates the way a pancreas operates. The link between insulin and glucose is the crux of treating diabetes. A syringe, insulin pen or insulin pump gets the insulin into the body. Once the insulin is released, it goes to the bloodstream and starts lowering blood glucose. Controlling blood glucose levels is the goal on insulin. Patients must work to stay within proper blood glucose level ranges by taking insulin and using glucose monitoring devices several times throughout the day. 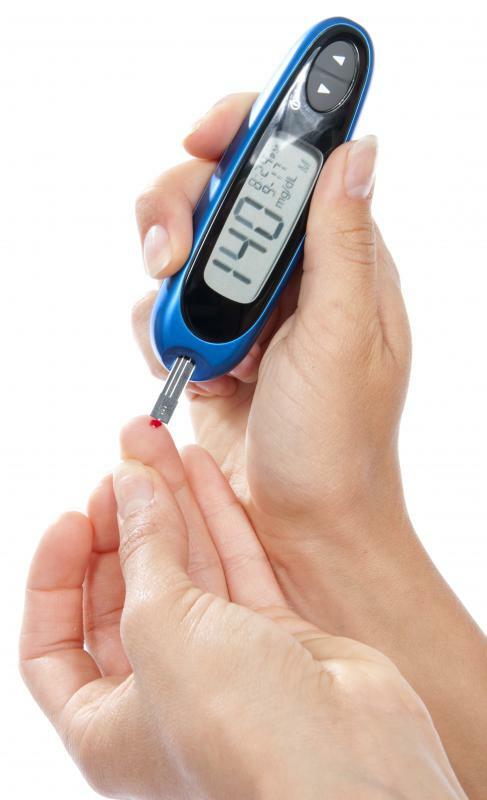 Doctors measure blood glucose levels in several ways. A fasting blood sugar is the first check for determining diabetes. The postprandial blood sugar test is usually given two hours after a meal. A random blood sugar test is given several times throughout the day to show wide variances. A hemoglobin A1c blood test shows an average level over two or three months. If a patient's test reads under seven percent, they are controlling the levels. Otherwise, the link between insulin and glucose is one of unbalance. Pregnant women are sometimes given an oral glucose tolerance test. After drinking a sweet glucose-containing liquid, the woman is tested for gestational diabetes. Insulin can be part of treatment during a pregnancy where gestational diabetes is present. The oral test determines whether the link between insulin and glucose is a healthy one. Another link between insulin and glucose concerns hypoglycemia, which is also known as insulin shock. Hypoglycemia occurs when blood glucose levels are abnormally low relative to insulin levels. Diabetics may become hypoglycemic after taking too much insulin or failing to eat at regular intervals. Maintaining healthy levels and consistent monitoring are key to treating diabetes. 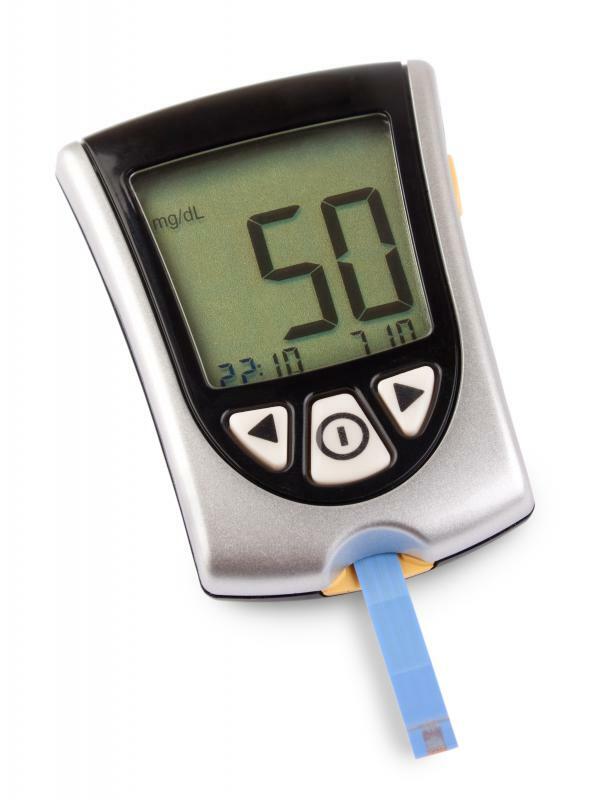 What is a Diabetes Monitor?